While these are all very important to the plot, I like to believe there is only two real honest to God plot points in a movie. Plot point one happens at the end of Act I, and plot point 2 happens at the end of Act II. Pure and simple. This happens in the last ten or so pages of the Act I, and helps to introduce Act II. This is not the inciting incident. The plot point and inciting incident are almost always mutually exclusive. Too many first-time writers forget this, and make the inciting incident plot point 1. Plot point 1 is the moment where your character accepts the quest or mission that was set up in Act I. This is the point where there is no going back, and the rest of the movie is designed to get the main characters from point A to Point B, and ultimately the climax and conclusion. Of the two, this is in my opinion the most important plot point. It sets the course for the entire rest of the film. 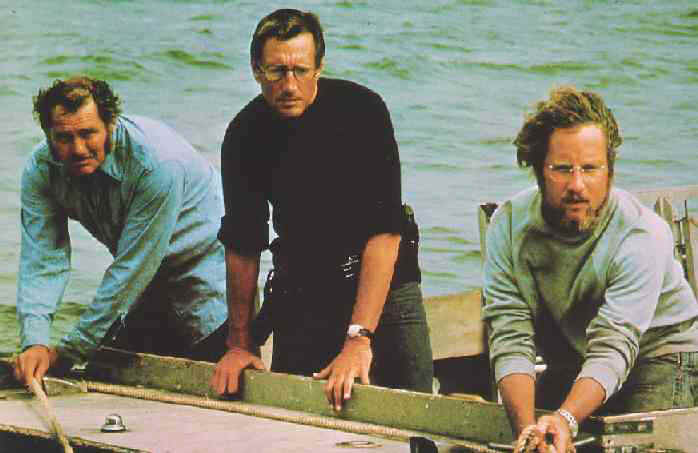 For example, in the classic film Jaws, the inciting incident happens around 15-16 minutes into the film, when young Alex is killed while in the water. Plot point 1 is when the cash reward is offered to find and kill the shark, while Hooper declares Chrissie (attacked at the beginning of the movie) wasn’t killed by a boat, but the shark. Plot point two happens at the end of Act II, just like the plot point 1 at the end of Act I. There is a primary difference between them, though. Plot point 2 is about getting the hero to the climax. He’s at his lowest point, the chips are against him and all hope is lost… until he comes back. There’s a light at the end of the tunnel and he has to go for it. He has a victory, but we realize that there is still so much more to go. He’s about to die, but escapes the trap at the last minute with increased resolve. He’s punches the bad boyfriend in the face and goes after his one true love. Act II is a roller coaster ride, as the hero, lifted by events in Act I, hits obstacle after obstacle until it seems he can’t get any lower. Plot point 2 is the turnaround that sets the hero to take on the bad guy in the third act. Going back to Jaws, plot point 2 occurs when the shark begins its first attack on the boat, following Quint’s speech. When plot points are used right, they can be the catalyst for a great story. Of all the aspects of a screenplay, the two plot points are the ones that need to be thought out the most. Without good plot points, even the best movie plot can lose pacing and interest. For more of my articles on screenwriting, click here. With this article on plot points, be sure to check out my articles on writing act 1, including the first 10 pages, second 10 pages, and third 10 pages. The Fantastic Four Trailer Debuts!